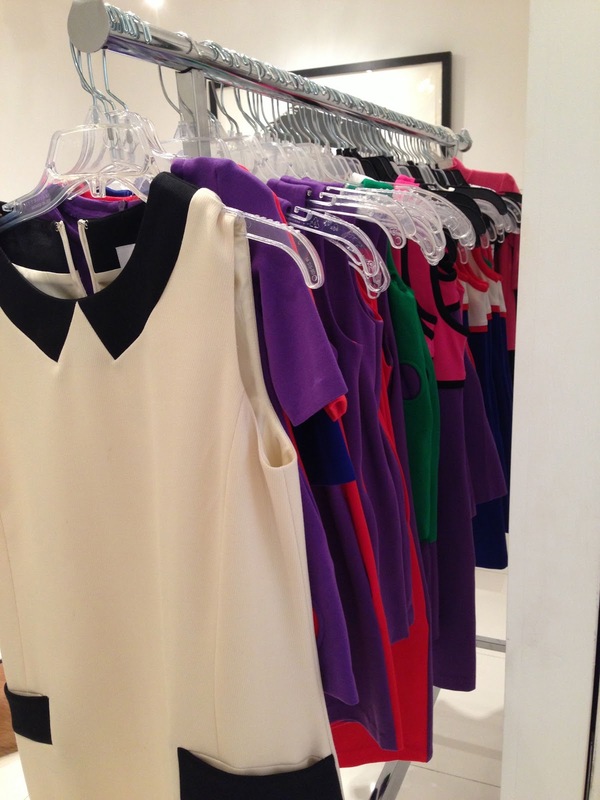 Lisa Perry is hosting a sample sale in the back of her Madison Avenue boutique where her mod and pop designs are between 70% and 90% off. The sale started yesterday and you can be sure that these great looking pieces not hang around for long. With discounts so high we couldn't resist checking out the sale ourselves and we are so happy that we did. The back of the store is filled with mostly spring and summer samples with a scattering of heavier wool pieces. Sample size four and six dresses, range from $200 to $300 and most skirts and tops are $200. A black long sleeved wool dress with turquoise circles is $300 as is a gray, black and chartreuse dress. A black and white vinyl and wool raincoat is $200 and a red and blue cotton sleeveless shift with circle pockets is $200. In addition to the four racks of samples there are two racks of overstock, which contain items in larger size runs that are priced about 70% off. For example, we found purple leather bomber jacket for $418 from $1395. Our favorite section is always the little girl's dresses. Kid's samples are $50 and the open stock is under $70. The children's sample size is a 4/5 but there are some summer sleeveless dresses and size two dresses in larger size runs. 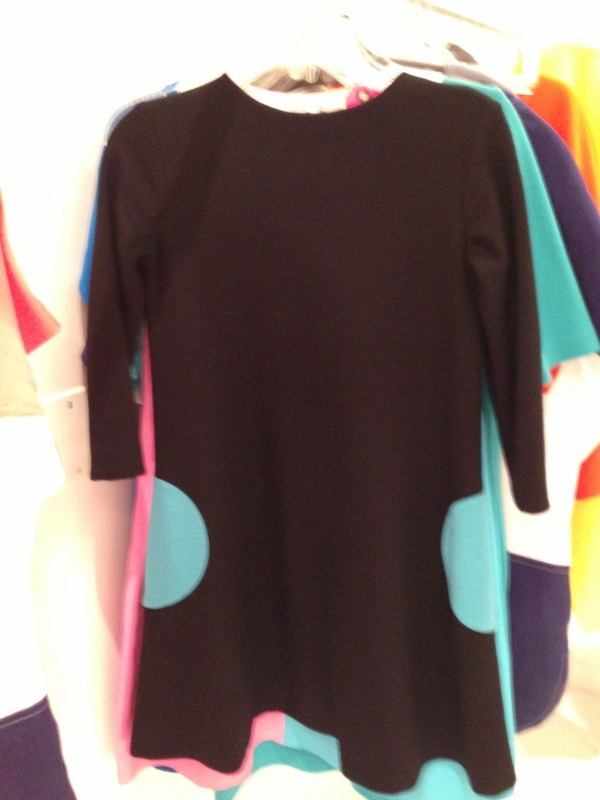 Our favorite items are a baby black dress with silver circle pockets for $50 and a black shift with multi colored circles for $500 too. Before heading out don't miss the home accessories table at the far right of the room. We couldn't resist the vinyl cupcake pillowcases priced at $10 from $125 and a logo messenger bag for $30. The accessories table also included the famous gumball necklace and pear change purses for $5. Under the accessories table there is an assortment of designer bedding where a queen set with shams was priced at $225. You can check out more pictures from our groovy shopping trip, right this way.